Get ready New York City!! I’m super excited to say that Cannonball Productions is bringing us the 1st ever festival inside the park. None other than the great Central Park that is! 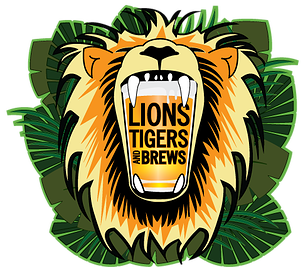 Lions, Tigers and Brews, a craft beer tasting event. It will take place on Friday, June 19, and Saturday, June 20, from 7:00-11:00 p.m., party-goers will sip on nearly 100 beer samples produced by 45 local and regional breweries including Shipyard Brewing Company, Rockaway Brewing Company, Victory Brewing Company and Sea Dog Brewing Co. If thats not enough to get you excited there will also be notable New York City restaurants and food trucks will be on-site selling their best dishes and DJs to keep you on your dancing toes. Attendees are encouraged to dress in their best animal-themed attire and enter the costume contests. Prizes will be awarded at the end of the event to the best group and individual. Early Bird General Admission is $49 per-person, which includes unlimited craft beer tastings, a souvenir beer glass and entry into the costume contest. GA ticket holders will gain entry to the zoo at 8:00pm. Early Bird VIP admission is $79 and includes 1-hour early entry at 7pm, unlimited beer samples, a souvenir beer glass, entry into the costume contest and access to the Tropics and Penguin Houses and Sea Lion Show. As always when liquor is involved, all attendees must be 21+. Tags: Animals, beer, Craft Beer, nyc. Bookmark the permalink.